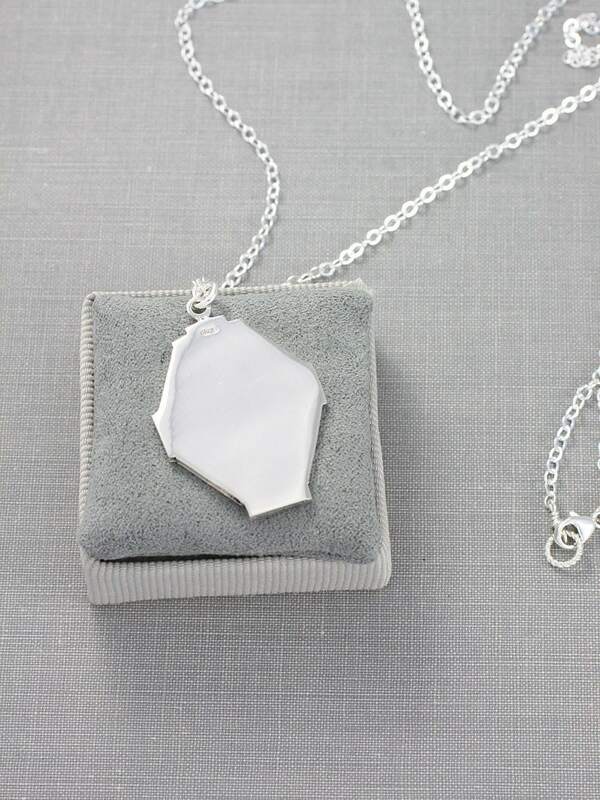 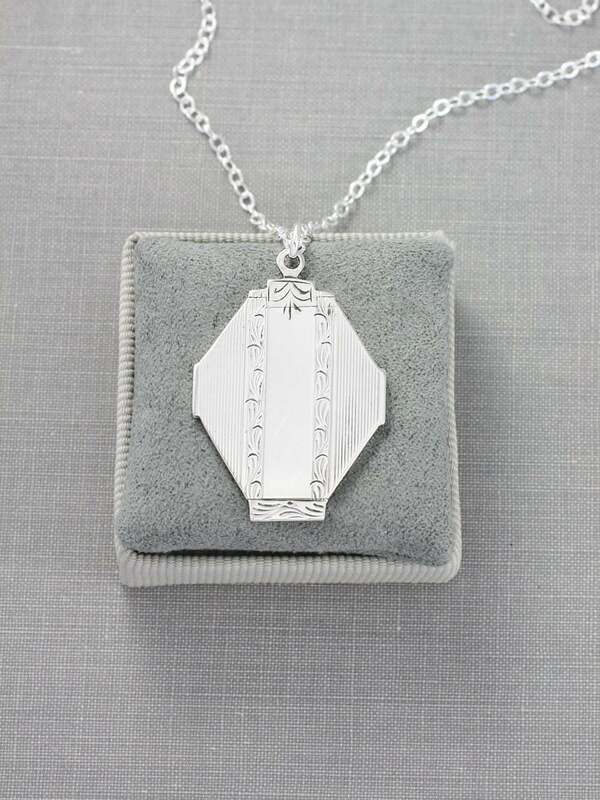 A gorgeous, rare silver locket boasts the signature geometric motifs of the art deco era featuring engravings of stripes and waves on an octagonal silhouette. 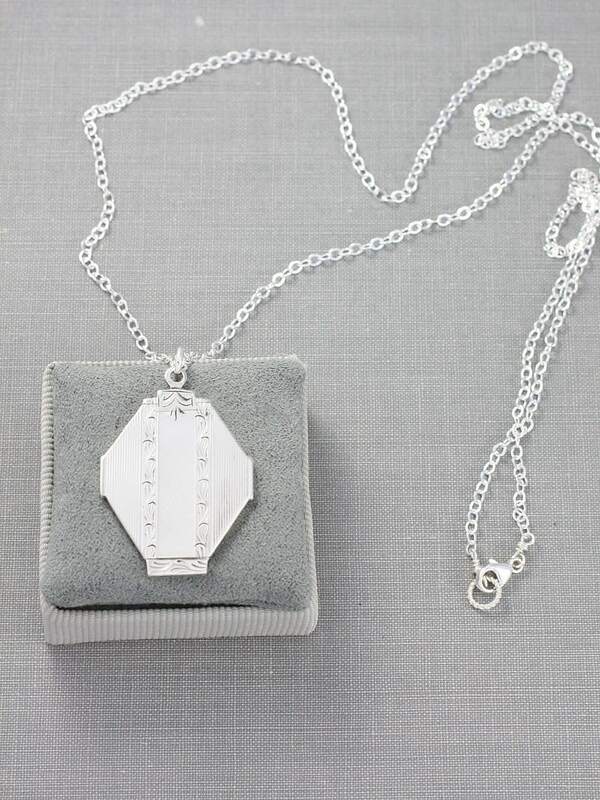 The locket remains plain on the back with the stamp for "silver" and the maker's mark "HB&S" for the early 1900's jeweler Herbert Bushell & Son Ltd of Birmingham, England. 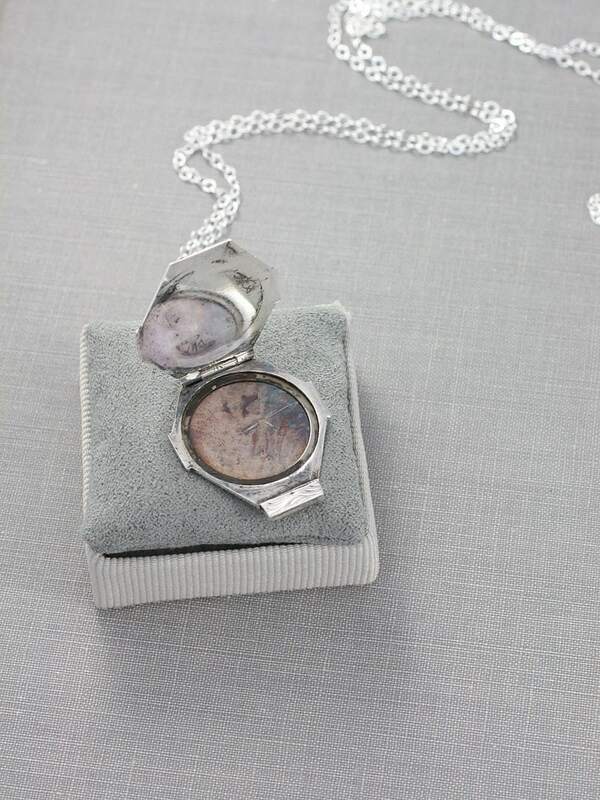 The locket opens to reveal one removable frame waiting to hold your beloved photograph. 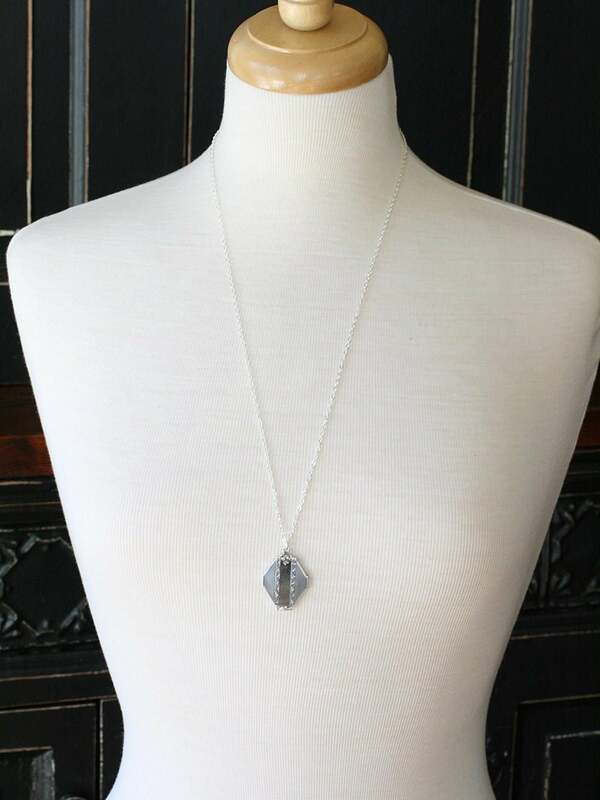 The pendant is set on a new long sterling silver chain hand finished with a trigger clasp of the same.